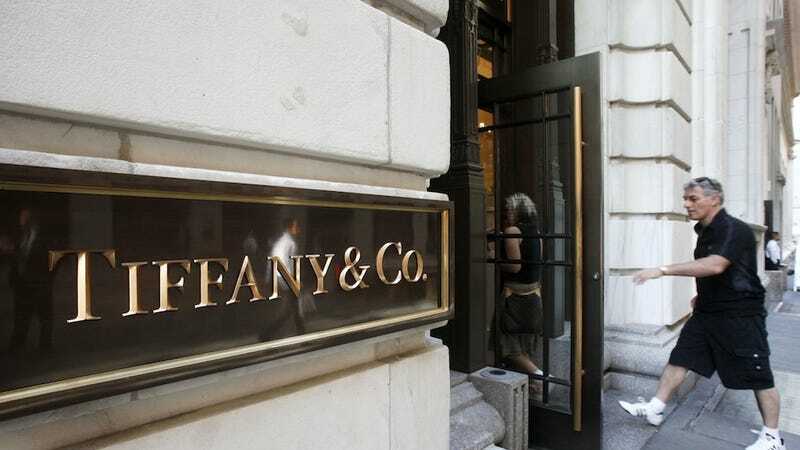 The New York Times reports that group director Michael McClure filed a complaint Thursday against Tiffany & Company. He says there's 200 public-facing management positions at the company—but he's the only African American holding one. He accuses the company of a "systemic, nationwide pattern and practice of racial discrimination." Last fall, after management changes at the company, Anthony Ledru, the new senior vice president for North America at the time, asked store and group directors to send their photographs. The request said Mr. Ledru was requesting the pictures "as a result of Anthony's extensive market travels and meeting numerous people along the way." Uh, is Tiffany's the kind of place that does ~Faces of Our Company! !~ bulletin boards in the break room? He received an anonymous interoffice envelope, according to the suit. "Shortly after Anthony Ledru visited your market he made a comment to a small group of male market vice presidents that I think you should be made aware of," the letter said, as quoted in the complaint. "In reference to you, he expressed a surprise that 'a black man is representing the Tiffany brand.' "
It'll be interesting to see how that note holds up in court. McClure's lawyer told the Times that everything adds up to "racial bias in the belief, conscious or otherwise, that African-Americans are not appropriate ambassadors for the iconic, luxurious and sophisticated Tiffany brand." Tiffany and Company PR denied the allegations with some boilerplate about their being "without merit" and full of "mischaracterizations," adding that, "We welcome and value diversity in all forms and emphasize personal accountability and professionalism in a respectful and fair work environment."